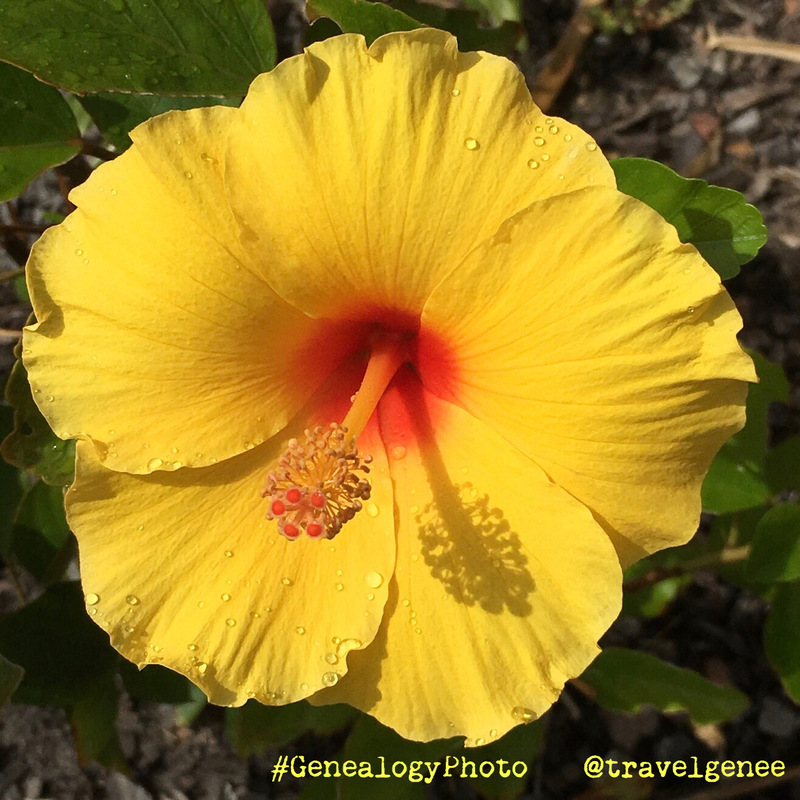 If there is ever a prompt for #GenealogyphotoADay related to flowers, colour, sunshine, bright or other option that I can force to post one of the hibiscus flowers in my garden or photos of ones I have seen, I do. 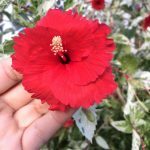 So here is a bit about me. 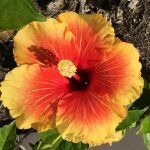 I love big flowers and bright flowers. I did have a collection around the pool however some young teenagers visiting splashed them when swimming. 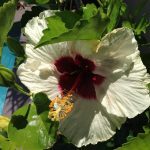 The salt water nearly killed them off. 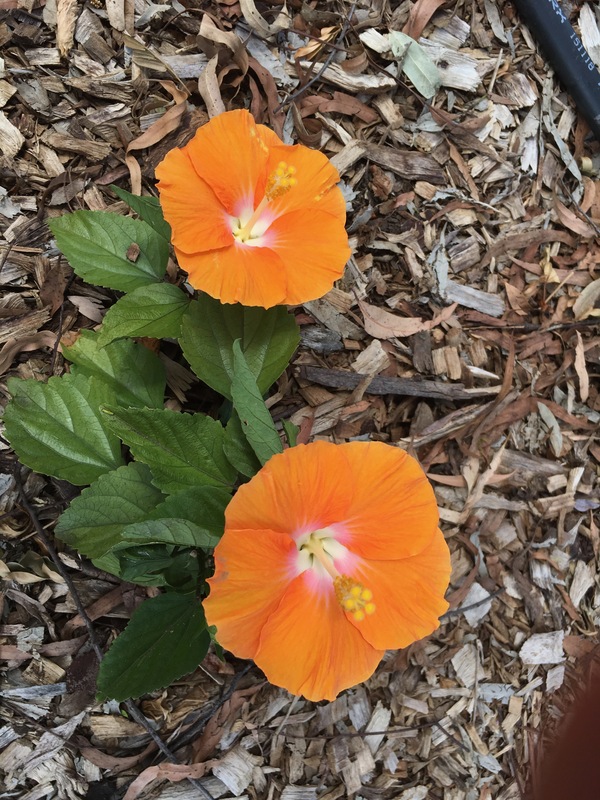 I transplanted them and some have come back to life while others ended up as sticks in the rubbish or shredded for mulch. 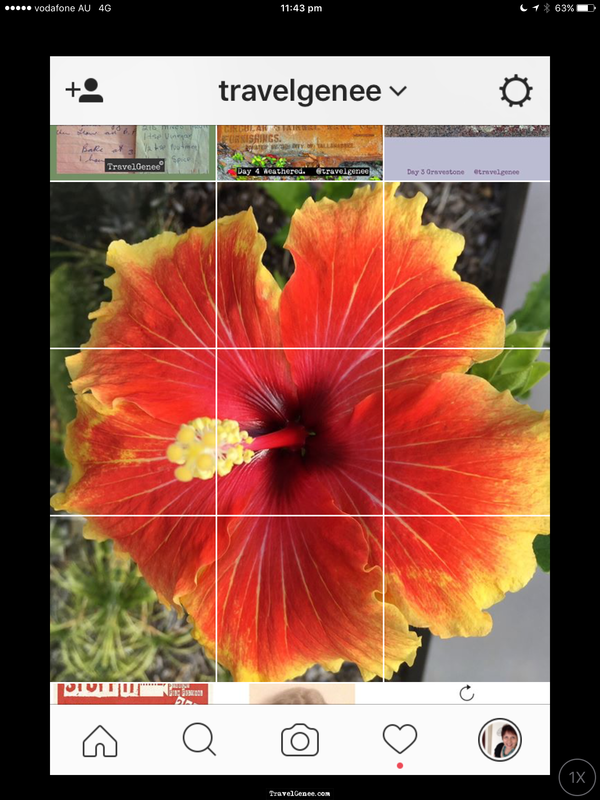 On Instagram, I once even sliced the images into 3 by 3 pieces and posted in the correct order. 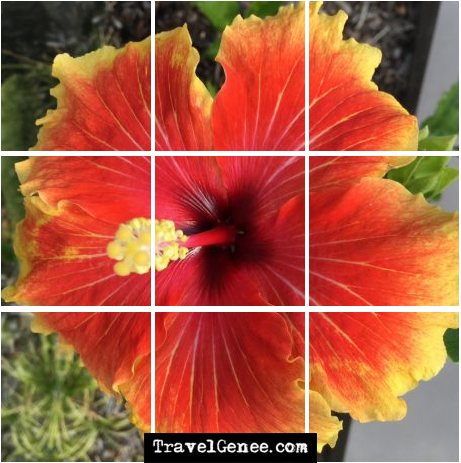 It came back together like a jigsaw. 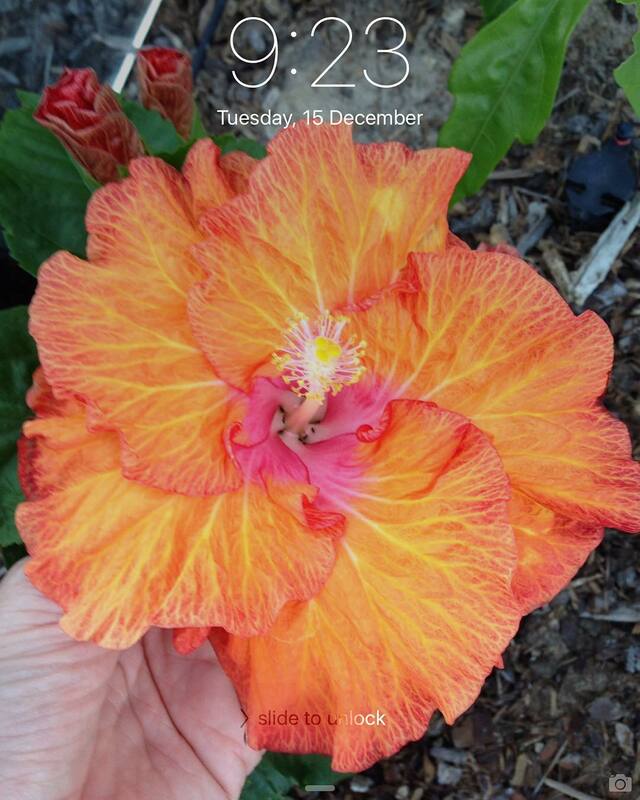 Here is what it looked like on a mobile device the times when it lined up correctly. 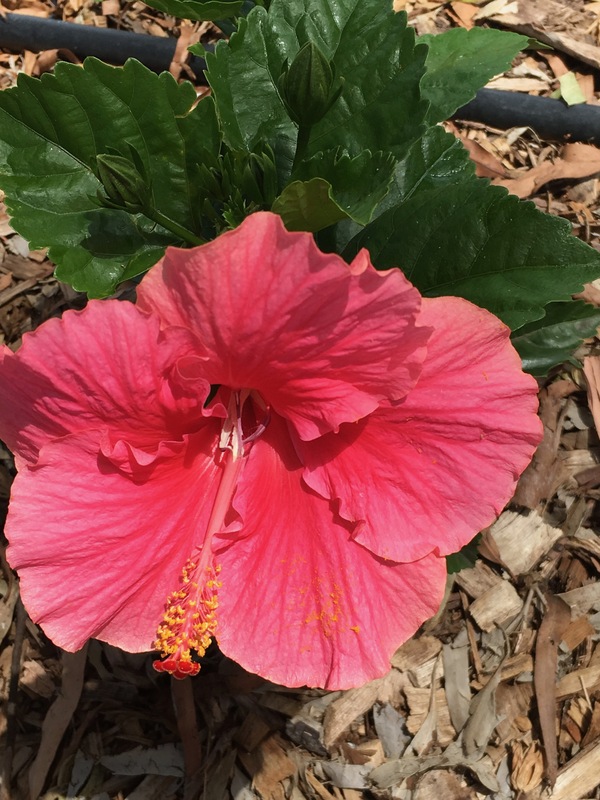 The sad thing is that this is one of the plants that did not survive. 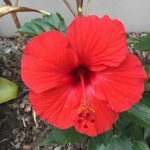 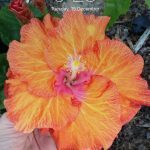 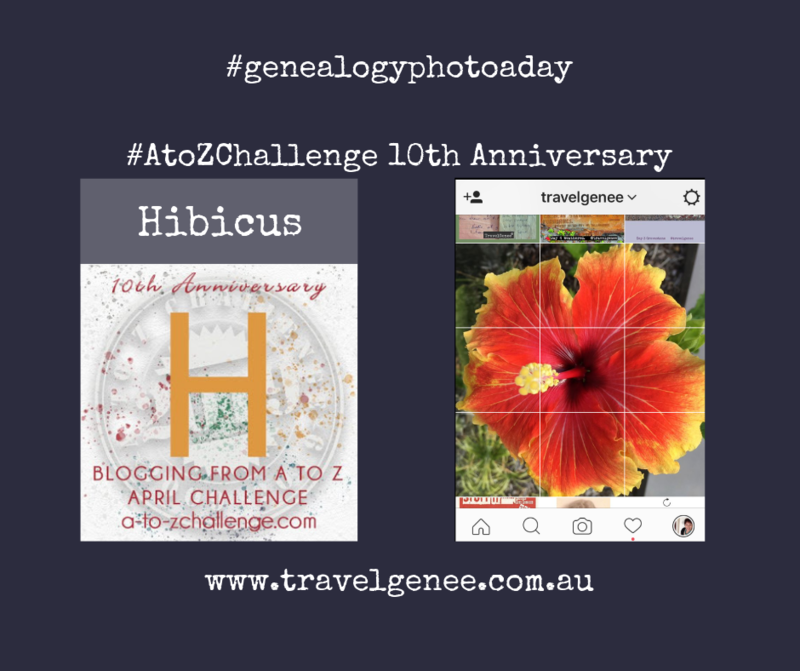 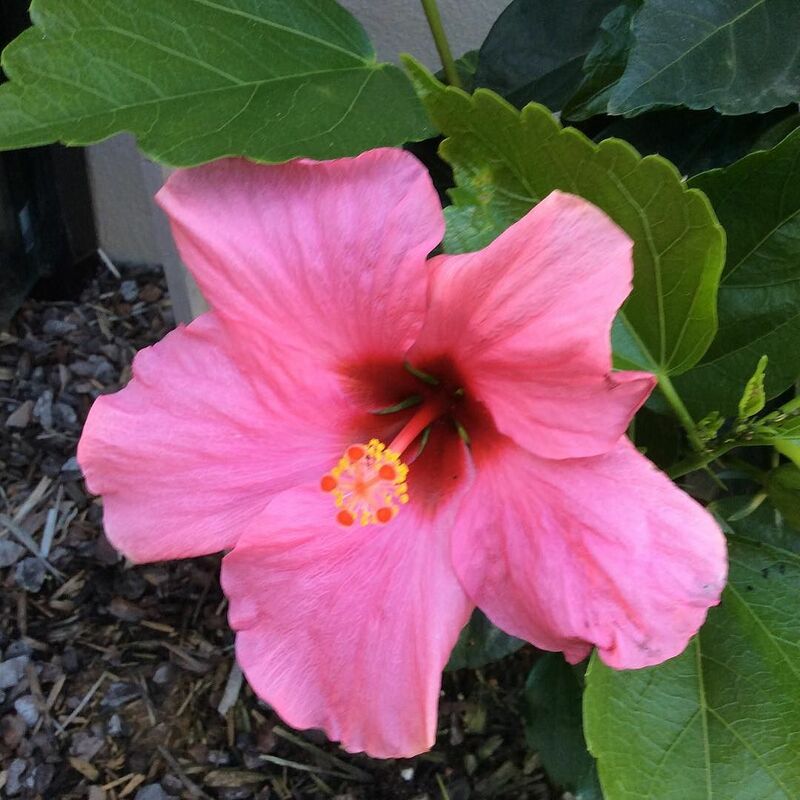 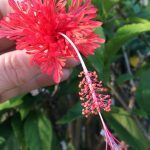 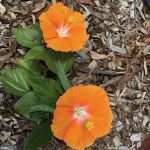 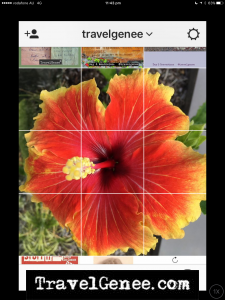 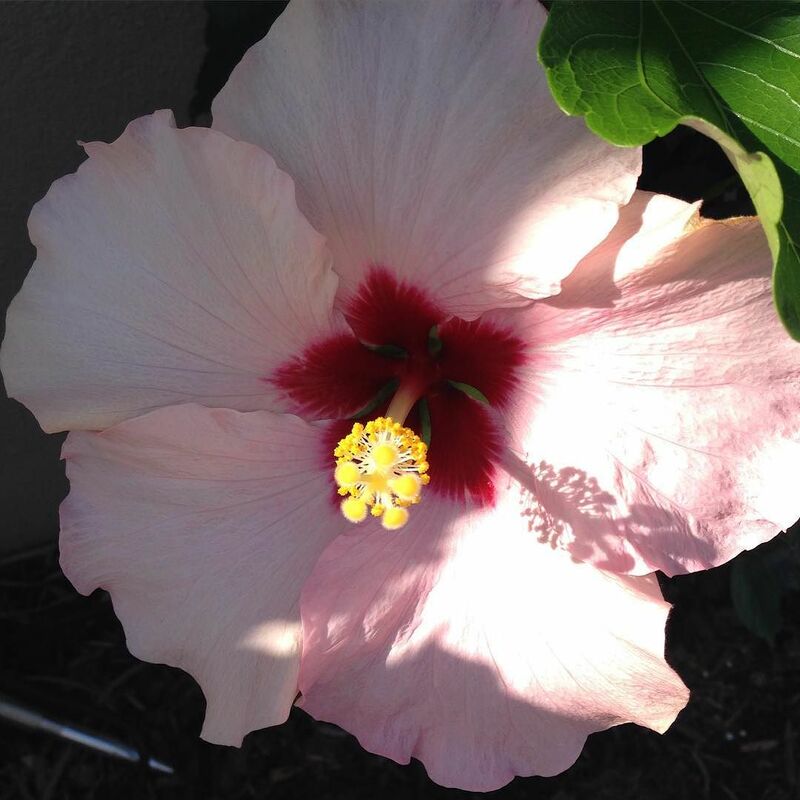 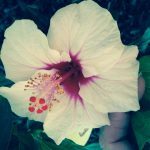 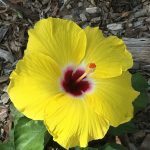 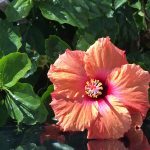 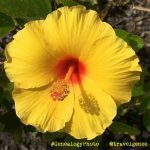 So that is my post for the letter H – AtoZChallenge Hibiscus – while it is not a typical #GenealogyphotoADay it does share about me and makes me wonder if I got my like for bright flowers from my Nana. You can follow me on Instagram to see the occasional pretty flower. Next → Next post: AtoZChallenge Ipswich – Who was born there? 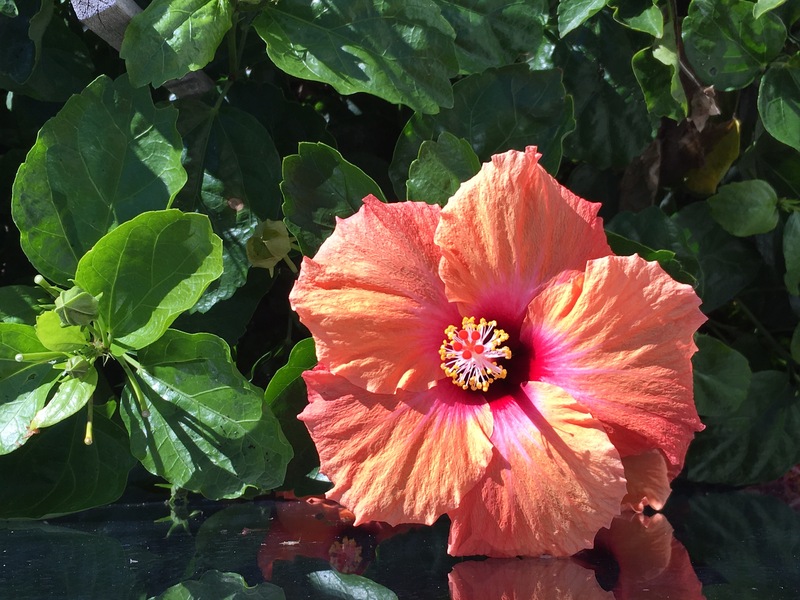 One of my favorite flowers….I take a lot of photos of them when I see them blooming. 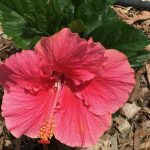 My mother had beautiful hibiscus at her home but they’ve all died out! 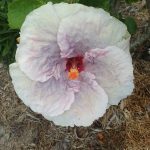 I also love hibiscuses. 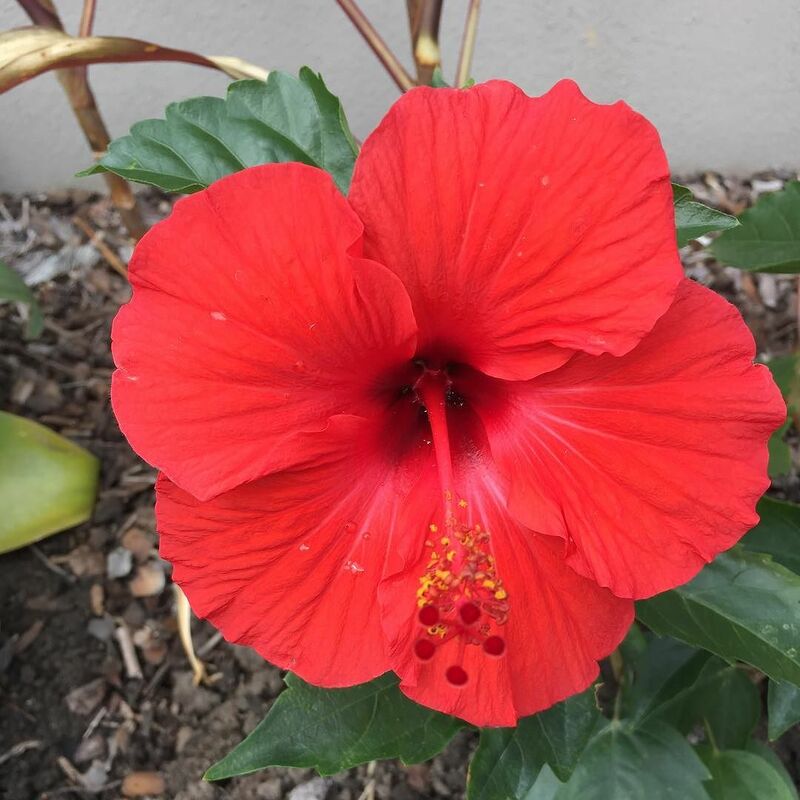 The colours are so clear. My mother grows them, some with enormous flowers. 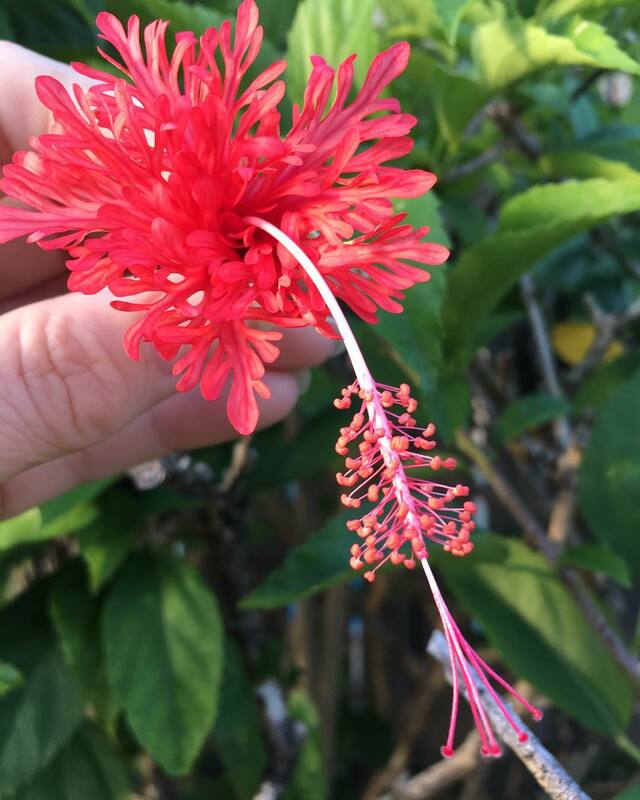 I’m sure they bring joy to your mother. My flowers vary in size on the same plant. 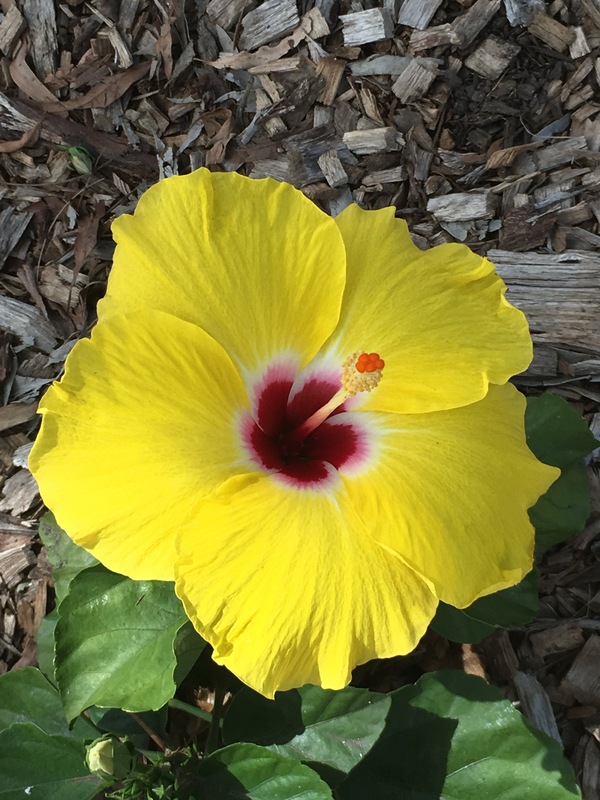 When the ants are around they are so much smaller.